Our 2017 cruise (Papua New Guinea) is now behind us – a successful cruise and special experience for all of us. Our 2018 cruise (Alaska) is booking strongly. A year out it already has more booked than for any cruise since our 4th cruise in February 2014. It will be easily the most internationally diverse cruise group (and probably the most internationally diverse genealogy event) ever. Over 50% of our bookings to date are from outside Australia – from the US, Canada, the UK and New Zealand. Should we choose a cruise from the UK (mid-late 2019) we may also offer a shorter, lower cost cruise from Sydney earlier in the year. Any cruise we offer will have our usual program with an international focus with leading international authorities as lead speakers. 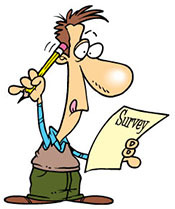 Click here to do our 2019 events survey. Tell us what interest you have in each of the candidate cruises listed above. A 2019 roadshow? – we have just completed a very successful 7-city roadshow around Australia and New Zealand – with leading international speakers from the UK and Germany. We are also considering something similar in 2019 – but with some differences. The above survey has more on possible themes also gives opporunity for you to tell us what, if any, interest you – if offered in 2019.